If you’re at all like me, mornings can be a chaotic rush of waking up, showering, making sure the baby doesn’t eat soap, getting her ready for the day, and finally cramming some food into my body. I am SUPER excited about this recipe. Like.. it’s awesome! Really! 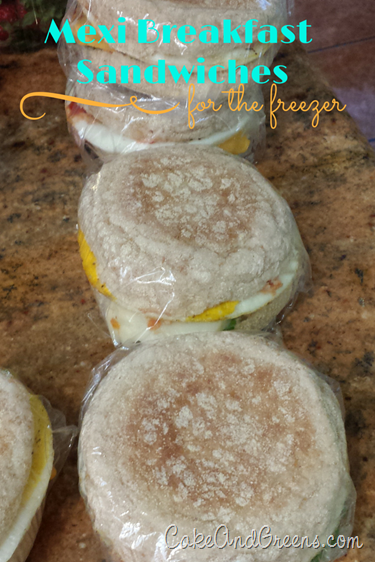 I’ve found a really delicious healthy make-ahead-and-freeze recipe for breakfast sandwiches. These things are super tasty, and fast to whip up. I made a dozen yesterday while Nathan was giving L a bath, and now they’re waiting in our freezer for the next busy morning. Just pop them into the microwave for a minute or two, and you’re golden. I wanted to keep them healthy but high in flavour, so I’ve used whole-wheat English muffins, an egg, a thin slice of light mozzarella, some Canadian (back) bacon, salsa, and cilantro. Pow! Super flavourful! The salsa was a great idea, adding very few calories, but a ton of flavour! 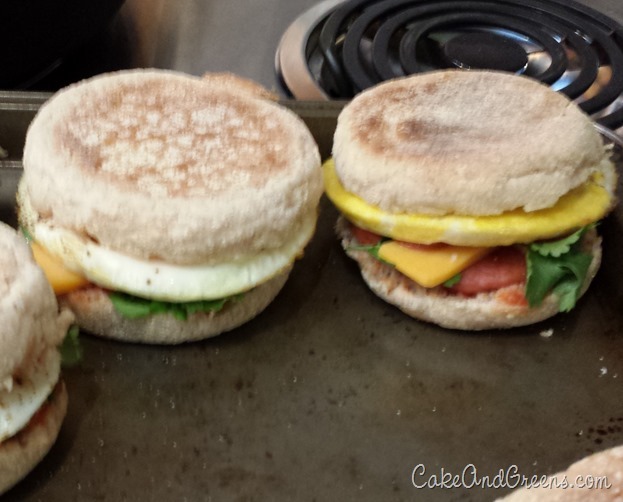 The eggs I baked in a muffin top pan, so I cooked them all at once in a matter of 10 minutes! Preheat oven to 350F. Spray 2 muffin top pans, or large muffin pans or ramekins with non-stick spray. 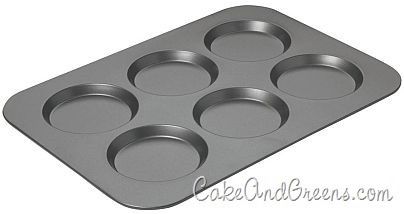 The muffin top pan above works best, based on my experiments! Crack an egg into each space, and break the yolks with a knife. Add some freshly ground pepper and bake for 10 minutes. Meanwhile, fry the Canadian Bacon over medium heat for 2 minutes/side. It’s pre-cooked, so you’re just trying to brown it a bit. Slice open the English Muffins and top each side with 1 teaspoon salsa, some cilantro leaves, a cheese slice, and the cooked Canadian bacon. 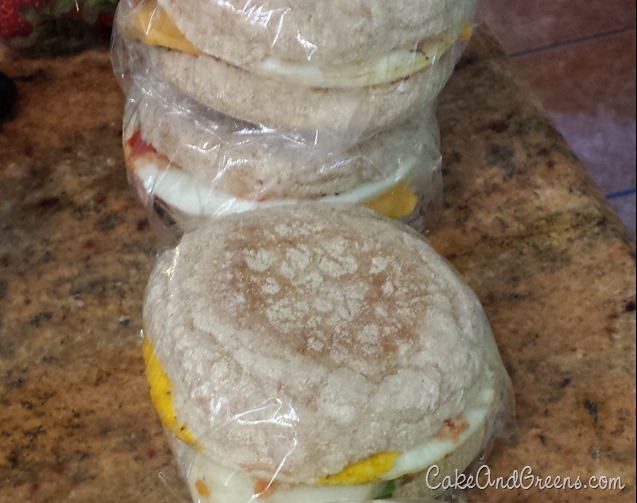 When the eggs are done, pop one onto each, and close your sandwich. Allow to cool for 10 minutes, then wrap with cling wrap or parchment paper and freeze. To cook from frozen: Unwrap and place on a plate. Cover with a piece of paper towel or microwave cover, and microwave 1 1/2 – 2 minutes on high heat. To cook from fridge temperature: Unwrap and place on a plate. Cover with a piece of paper towel or microwave cover, and microwave for 1 minute.